Austin Tichenor is a playwright, lyricist, songwriter, director, and actor. He’s the co-author of nine COMPLETE (abridged) stage comedies, which have been produced around the world, published in two countries, and translated into over a dozen languages; the beautifully illustrated (by Jennie Maizels) children’s book for all ages Pop-Up Shakespeare; the irreverent reference book Reduced Shakespeare: The Complete Guide for the Attention-Impaired (abridged); the comic memoir How The Bible Changed Our Lives (Mostly For The Better) for all e-book platforms; the half-hour film The Ring Reduced for UK’s Channel 4; the half-hour pilot The Week Reduced for TBS; and the six episode Reduced Shakespeare Radio Show for the BBC World Service. He also produces and hosts the weekly Reduced Shakespeare Company Podcast, which was named one of Broadway World’s Top Ten Podcasts for Theatre Fans. Austin is an alumnus of the BMI Musical Theatre workshop and has written over a dozen plays and musicals for young audiences. His full-length one-act DANCING ON THE CEILING (an adaptation of Kafka’s “The Metamorphosis”) and adaptation of FRANKENSTEIN are both published by Broadway Play Publishing, and he directed the world premiere of his adaptation of New York Times bestselling author Jasper Fforde’s THE EYRE AFFAIR in 2016. 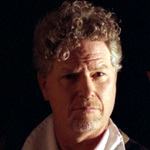 As co-managing partner of the Reduced Shakespeare Company, he has performed with them around the world, Off-Broadway, in London’s West End, in the PBS version of THE COMPLETE WORKS OF WILLIAM SHAKESPEARE (abridged), and at such theaters as the Kennedy Center, Lincoln Center, American Repertory Theatre, the Folger Shakespeare Theatre, Cincinnati Playhouse in the Park, Pittsburgh Public Theatre, Merrimack Repertory Theatre, and Repertory Theatre of St. Louis. On TV, Austin played recurring roles on 24, Alias, Felicity, Ally McBeal, and The Practice, and guest starred as Guys In Ties on The West Wing, The X-Files, ER, The Mentalist, Nip/Tuck, Gilmore Girls, and on many other hours of episodic television. He’s also performed his own material many times on NPR and the BBC, performed with both the Oakland Symphony and in Disney Hall with the Los Angeles Philharmonic, and acted in the midwest premiere of Lauren Gunderson’s THE BOOK OF WILL at Chicago’s Northlight Theatre, and in the world premiere of IN THE GARDEN: A DARWINIAN LOVE STORY with Chicago’s Tony Award-winning Lookingglass Theatre Company. Austin is a fifth-generation Californian who was born on the 54th anniversary of the San Francisco Earthquake and the 185th anniversary of Paul Revere’s Ride, which makes him older than he looks but short for his weight. Austin is a member of the Dramatists Guild, has a BA in History and Theatre from UC Berkeley and an MFA from Boston University, and currently lives in Chicago with his improviser and writer wife Dee Ryan, their two kids, and too many cats.